You know how they say that it's a bad idea to count your chickens until the eggs have hatched? Well, we're kind of breaking that rule these days. 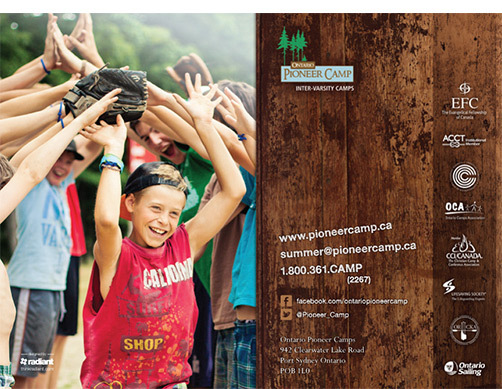 You see, in January, we finalized the print and distribution of the Ontario Pioneer Camp ("OPC") brochure. To be sure, those two goals are in some respects, very closely related. But the specific strategies we employed on the first will allow for unique measurement opportunities. The real 'chicken counting' that we're excited about these days, is the fact that in the first two weeks after the brochure was released, registrations hit a 5-year high for that point in the registration season. The really cool thing is that we're able to attribute the spike in registrations directly to the brochure because quite simply, no other advertising occurred in or around that window. It's a testament to the fact that authentic communications strike a chord. 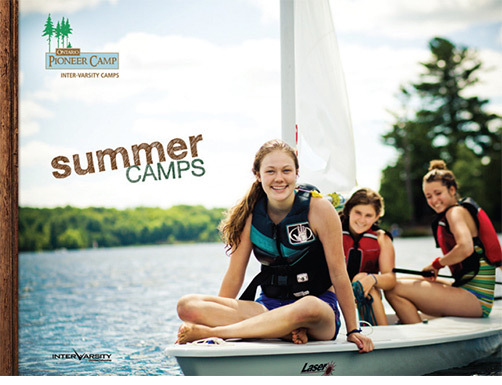 We spent a lot of time working with the camp to arrive at a piece that would communicate the camp experience to newcomers, connect with those who already knew the camp and for both audiences, provide them with the right information to make a decision about getting involved this year. The project was all about authenticity and serving campers and their parents - exactly what the mission of Ontario Pioneer Camp is. We're so thankful to have been a part of the OPC brochure project and are looking forward to see if our early chicken counting proves to be indicative of an overall increase and success for the 2013 season.